Expedia can help you save heaps with a Cynwyd vacation package. With all that extra money in the bank, you might even like to book a few additional nights. Secure your deal on Expedia and save up to C$590*! It really is that simple! We have more than 400 airline partners and 321,000 worldwide properties to select from around the globe, which means your dream vacation is just a few clicks away! If you change your mind, you may cancel almost any booking and you won't pay any extra fees to us. We have all the red hot sightseeing tips for your upcoming trip to Cynwyd. Grab your travel planner and get ready to start topping up that itinerary. You don't need to dress in long robes or even believe in a higher power to appreciate the serenity that comes with spending time at Valle Crucis Abbey. Visitors have heaps of options close by. Historic bridges are often iconic symbols of a destination. Stop at Llangollen Bridge and learn more about when and how it was constructed and the part its played throughout history. Still have time to spare? Of all the paths you take in life, make sure at least a few are dirt! So slide into those boots, top up your water bottle and tackle the walks of Llangollen Canal Trail. Expedia presently doesn't have any property listings for Cynwyd. However, you'll discover a few places to stay in Glyn-Dyfrdwy, which is 6 miles (10 km) away. 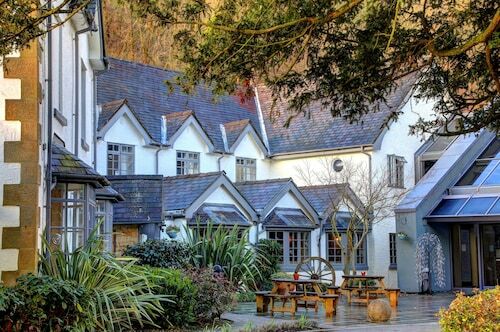 The nicest options in Glyn-Dyfrdwy are the Britannia Inn, The Hand at Llanarmon, Wild Pheasant Hotel and The West Arms. Nobody likes wasting time at the airport. But it's well worth it when you remember the adventure that's in store! Situated 35 miles (56 km) northeast of Cynwyd, John Lennon Airport (LPL) is the closest terminal. 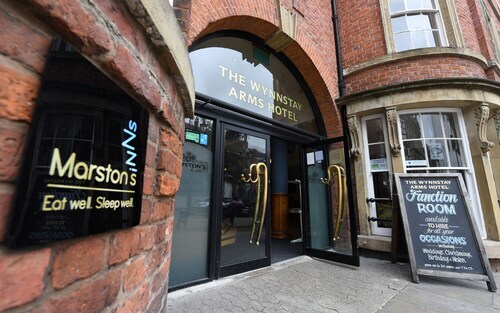 Situated in Wrexham, this hotel is within 1 mi (2 km) of Racecourse Ground and North Wales Regional Tennis Centre. Erdigg Hall and Wrexham Industrial Estate are also within 3 mi (5 km). Wrexham Central Station is 7 minutes by foot and Wrexham General Station is 13 minutes. 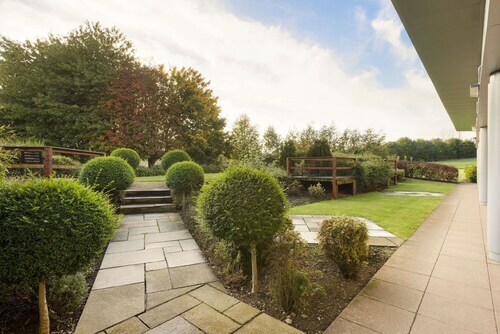 Situated in Wrexham, this hotel is within a 15-minute walk of North Wales Regional Tennis Centre and Racecourse Ground. Erdigg Hall is 2.4 mi (3.9 km) away. Wrexham General Station is 12 minutes by foot and Wrexham Central Station is 18 minutes. 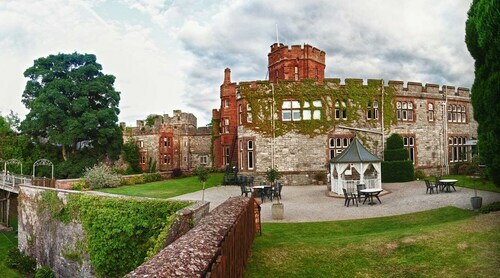 Located in Ruthin, this family-friendly hotel is 0.1 mi (0.2 km) from Nantclwyd y Dre, and within 12 mi (20 km) of Coed Llandegla Forest and Loggerheads Country Park. Theatr Clwyd and Denbigh Castle are also within 12 mi (20 km). Situated in Llangollen, this spa hotel is within 1 mi (2 km) of Llangollen Bridge and Llangollen Scenic Railway. Pontcysyllte Aquaduct and Chirk Castle are also within 9 mi (15 km). Situated in Llangollen, this spa hotel is within 1 mi (2 km) of Llangollen Bridge, Llangollen Scenic Railway, and Llangollen Canal Trail. Valle Crucis Abbey is 1.7 mi (2.8 km) away. 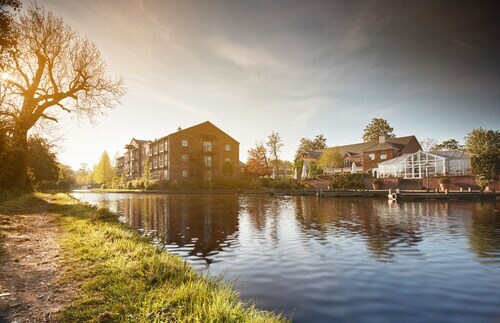 Situated on a river, this spa hotel is 2.9 mi (4.6 km) from Park Hall The Countryside Experience and within 6 mi (10 km) of Chirk Castle and Oswestry Cricket Club. Pontcysyllte Aquaduct and British Ironwork Centre are also within 9 mi (15 km). Gobowen Station is 27 minutes by foot. 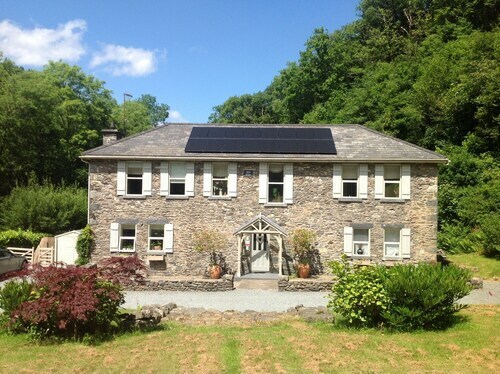 Situated in Betws-Y-Coed, this luxury bed & breakfast is 1.3 mi (2.1 km) from Snowdonia National Park Visitor Centre and 1.5 mi (2.4 km) from Betws-Y-Coed Golf Club. Swallow Falls and Gwydir Castle are also within 6 mi (10 km). Betws-Y-Coed Station is 26 minutes by foot. 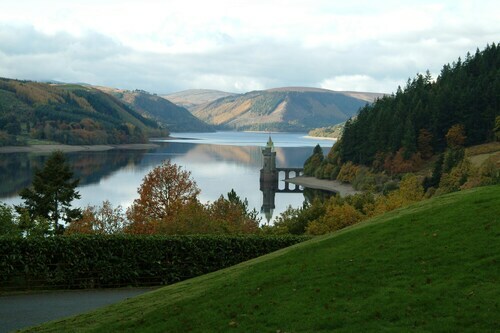 Situated in Oswestry, this spa hotel is 2 mi (3.2 km) from Lake Vyrnwy and 10.7 mi (17.3 km) from Llanfyllin Workhouse.